December 11, 2009 - On Thursday before the Senate Committee on Commerce, Science and Transportation, Subcommittee on Aviation on the Federal Aviation Administration’s Safety Programs, Federal Aviation Administrator, Randy Babbitt expressed some reluctance in changing FAA regulations on the number of flight hours required in order to be a co-pilot flying with the airlines. At present a pilot with the airlines is required to have an Airline Transport Pilot Certificate (ATP) and in order to qualify for the ATP license the pilot must first have logged 1200 hours of flight time. A co-pilot only requires a Commercial Pilot certificate. In order to qualify for the Commercial Pilot Certificate the pilot must have first logged 250 hours of flight time. 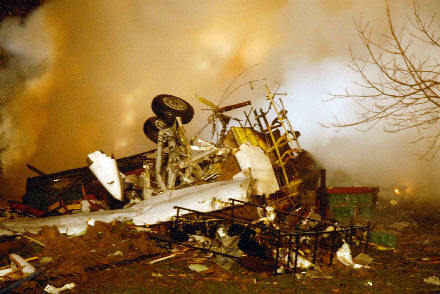 The review of pilot training comes on the heels of a crash on February 12, 2009. It involved Colgan Air Inc., Bombardier Dash 8-Q400, N200WQ, d.b.a. Continental Connection Flight 3407, crashed during an instrument approach to runway 23 at the Buffalo-Niagara International Airport (BUF), Buffalo, New York. The crash site was approximately 5 nautical miles northeast of the airport in Clarence Center, New York, and mostly confined to one residential house. The four flight crew and 45 passengers were fatally injured and the aircraft was destroyed by impact forces and post crash fire. An investigation of the crash revealed pilot fatigue and lack of pilot training. It appears both pilots did not recognize icing had taking place on the surface of the aircraft. Both pilots lacked proper training on a “stick pusher”, stall recovery, etc. Back in May the NTSB voted to conduct a public hearing on this accident and Transportation Secretary Ray LaHood and FAA Administrator Randy Babbitt announced he had ordered FAA inspectors to immediately focus inspection on training programs to ensure that regional airlines are complying with federal regulations.